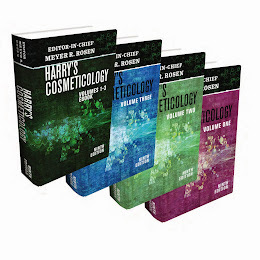 Anti-Aging, Howard Epstein, EMD Chemicals - Harry's Cosmeticology 9th Ed. Howard Epstein is Director of Technology and Business Development for EMD Chemicals, Philadelphia, Pennsylvania, an affiliate of Merck KGaA, Darmstadt, Germany. He received his Ph.D. in Pharmacognasy from the Union Institute & University in Cincinnati, Ohio. Howard has been in the cosmetics industry for many years since he began his career formulating cosmetics for Estee Lauder, Maybelline, Max Factor, Bausch & Lomb and Kao Brands. In addition to his interest in botanicals Dr. Epstein is currently Editor of the Journal of the Society of Cosmetic Science and is a member of the International Academy of Dermatology. He is on the editorial board of the dermatological journals Clinics in Dermatology and SKINmed representing the cosmetics industry to dermatologists. 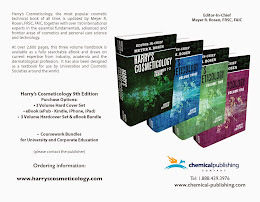 Intellectual Property, Charles Brumlik, J.D., Ph.D., Nanobiz - Harry's Cosmeticology 9th Ed. Dr. Brumlik co-founded Nanobiz LLC to increase speed to peak revenue with advanced materials and chemicals by leveraging external groups. 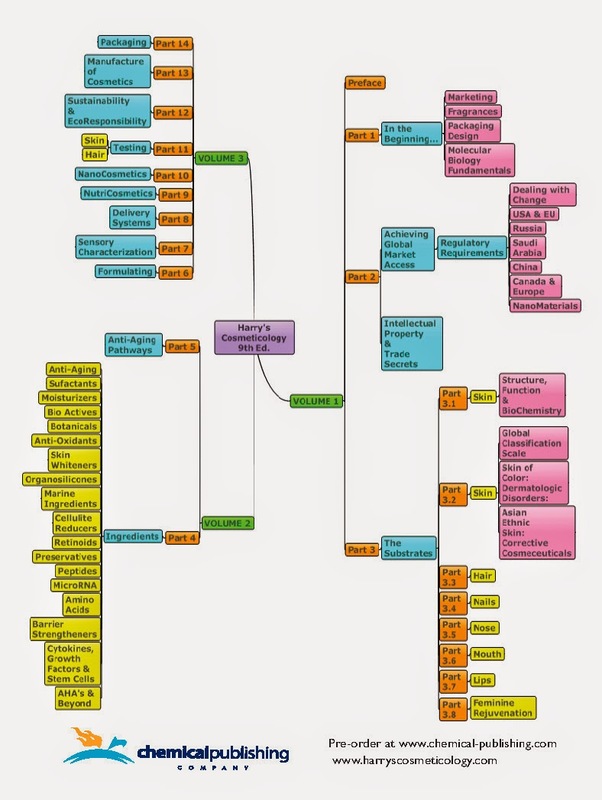 The result is an efficient, creative mid-size group integrating highly experienced corporate veterans with hybrid experience from multiple corporate departments, a fully integrated offshore search team, IT tools, and a strong subject matter network. Charles Brumlik has 25+ years of nanotechnology experience and was a corporate intellectual property attorney with ExxonMobil and Honeywell. He currently implements short term results within the framework of corporate innovation strategies. He is a serial inventor tempered by the corporate commercialization process. Dr. Brumlik focuses on creating actionable opportunities for Nanobiz clients.